As many of you will know, the original site suffered some issues recently, not least an amount of spam appearing for readers, and the site’s storage being full for the authors. We have now relocated to a new host, and the site has had a few tweaks to update its appearance. Below: Day in and day out the four buses and four trams keep running – Blackpool 31 has returned to service and is very welcome, not least in the present weather! 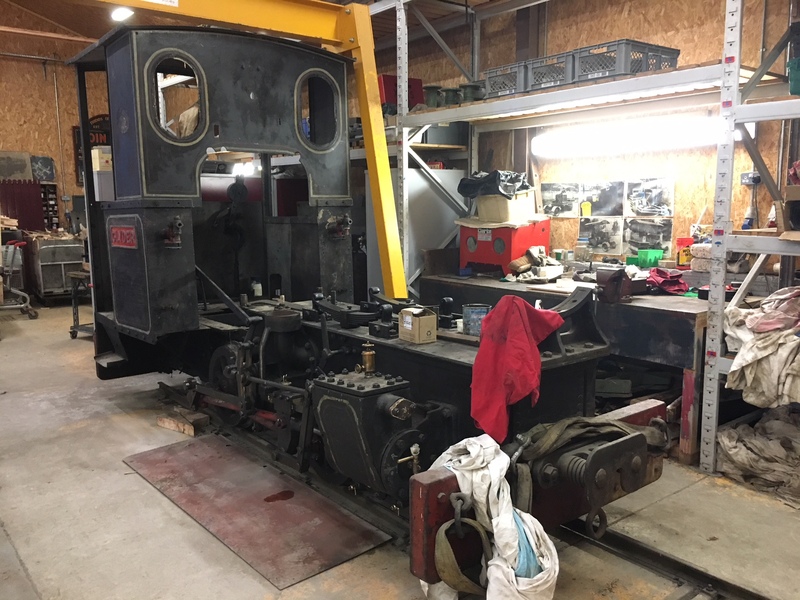 Sunderland 16 is being prepared for lifting, its wheelsets needing re-profiling. All being well this should be back in traffic in a few months. Here Sheffield 264 ascends Pockerley Bank heading for the Entrance. Below: Here is a new one – originally we were going to pose this as a ‘discovery’ but in the end I decided to feature it in the news pages! 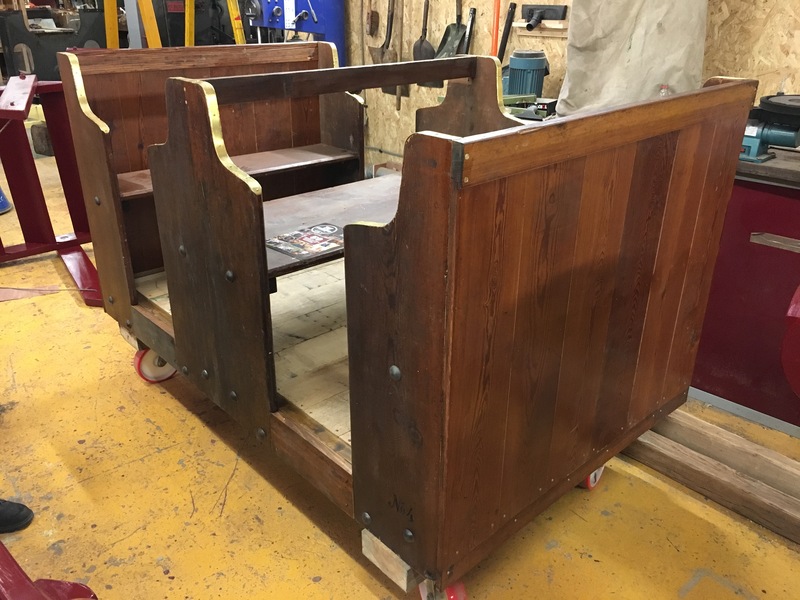 It is a small narrow gauge coach, constructed from recovered church pew timber (pitch-pine) and to a design that I produced for a model version originally! 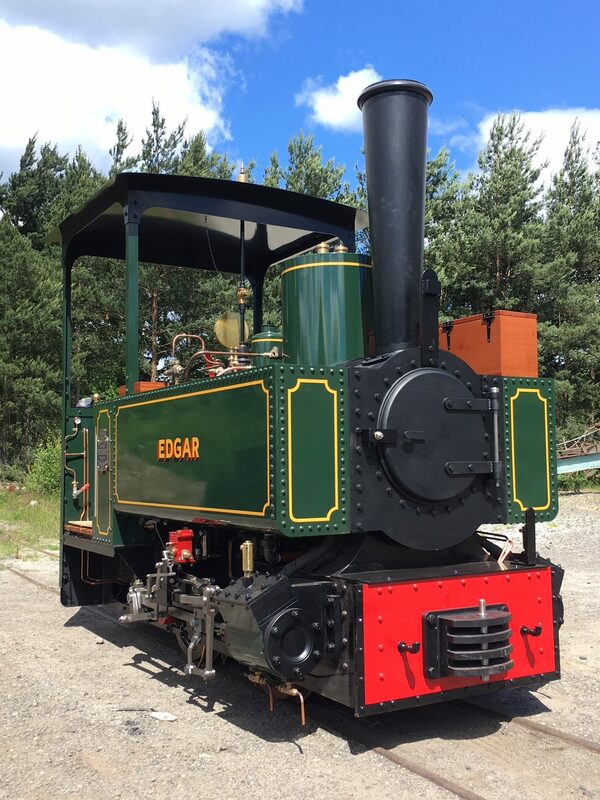 This idea grew – like the narrow gauge brakevan, and this full-size version has been produced. Named the ‘pew coach’ it can demonstrate a certain likeness similar to those coaches used at Penrhyn on the Quarry Railway there – originally dating back to the horse-drawn era but later informing the designs of the locomotive-hauled quarry coaches. 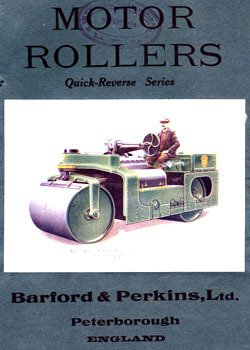 Photos below this one of the PQR examples preserved by the National Trust at Penrhyn Castle. 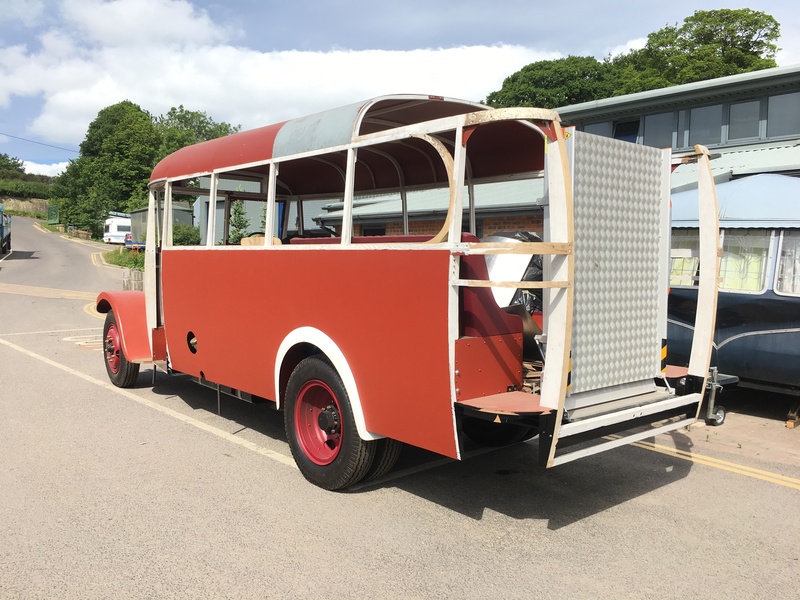 Tony has added his own signature to the coach as well – his identifying ‘mouse’ from his days at Robert Thompson’s furniture makers in North Yorkshire. 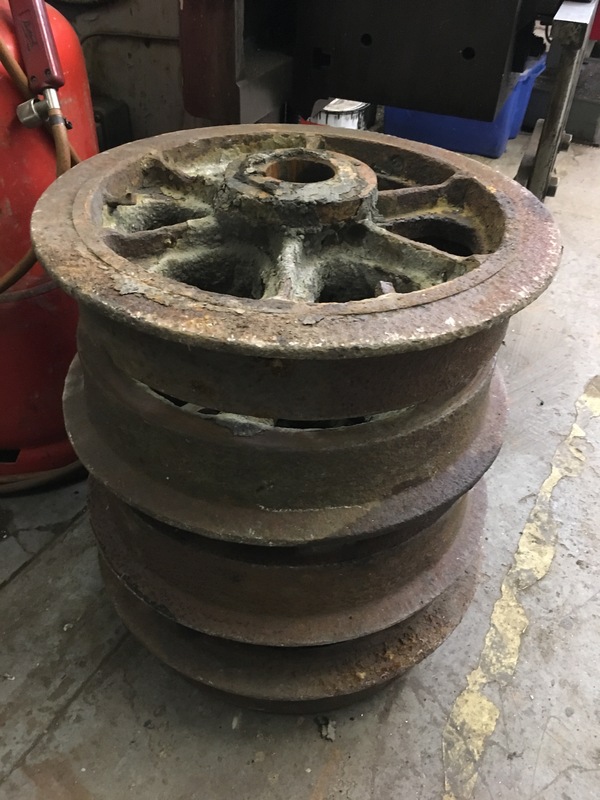 Below: The wheelsets for the Pew Coach, ex Ffestiniog Railway and seen after they were pressed off the axles – new axles with an inside journal are to be fitted to a steel sub-frame on this coach. 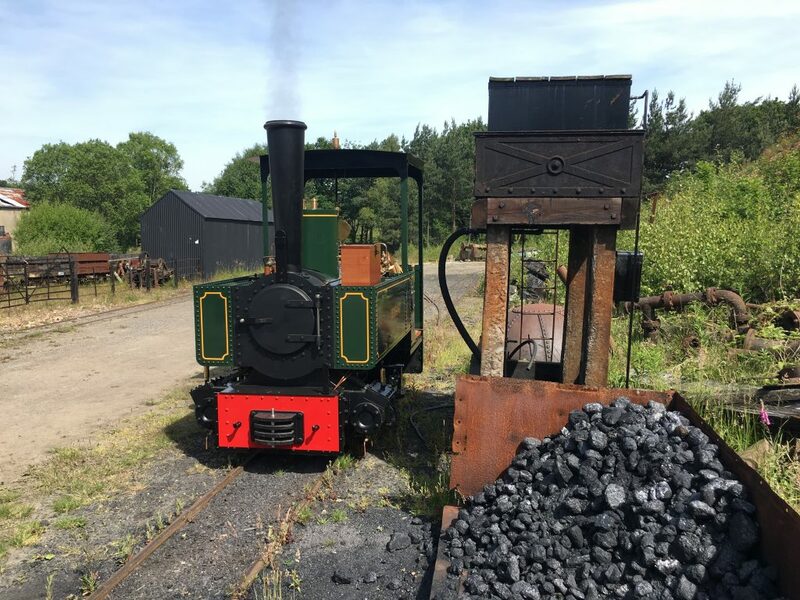 It is worth adding that we don’t intend to carry passengers on the narrow gauge, but that sometimes it would have been a useful addition to the fleet had we been able to carry guests of footplate participants etc. 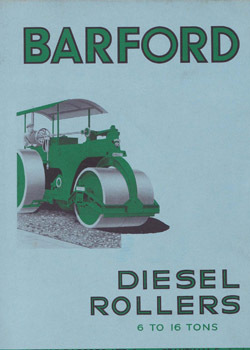 for a ride around the railway. 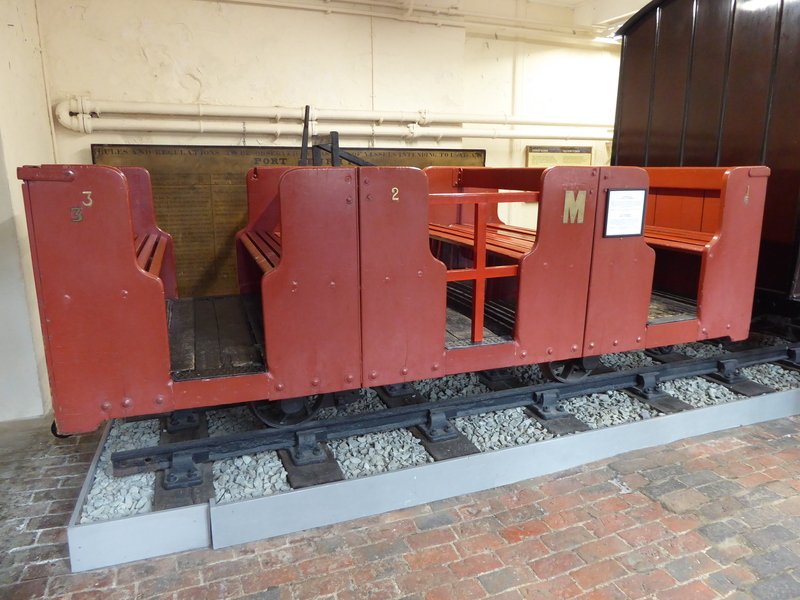 Below: The present Waggonway brake coach is actually a chaldron waggon replica, adapted for the purpose. 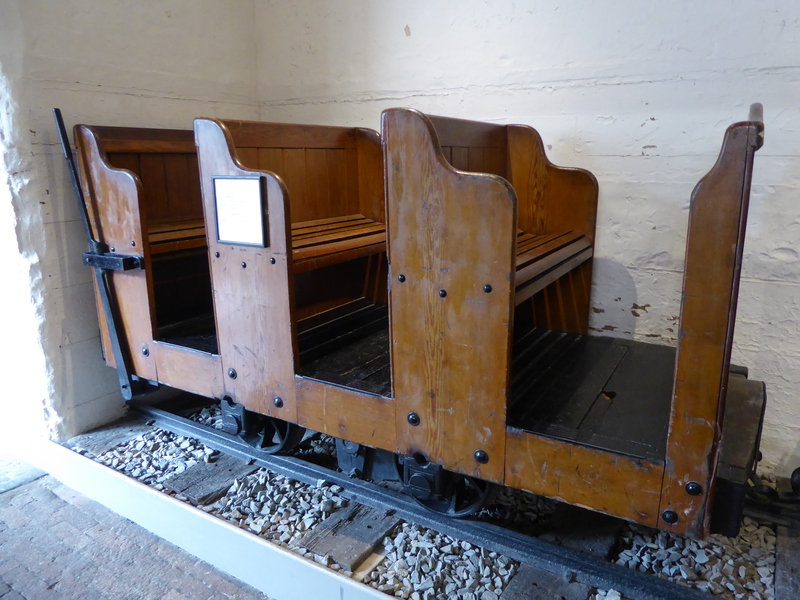 The current waggon needs extensive restoration this winter, and I thought that we might go for a different design. This will ensure the coach better fits the platform clearances available and increases the passenger accommodation within the train as well. 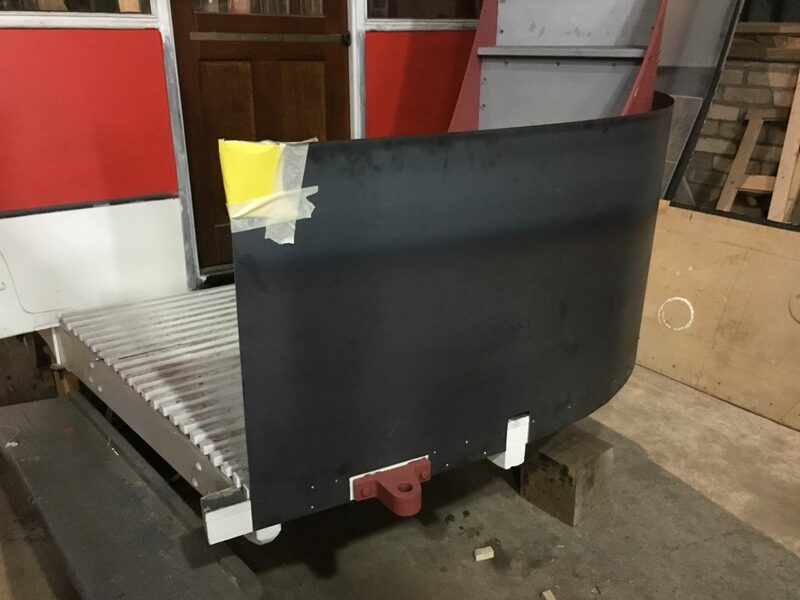 As a prototype we are copying the Brampton Railway ‘Dandy’ coach design (of which there were at least three, of differing styles of the same basic design). 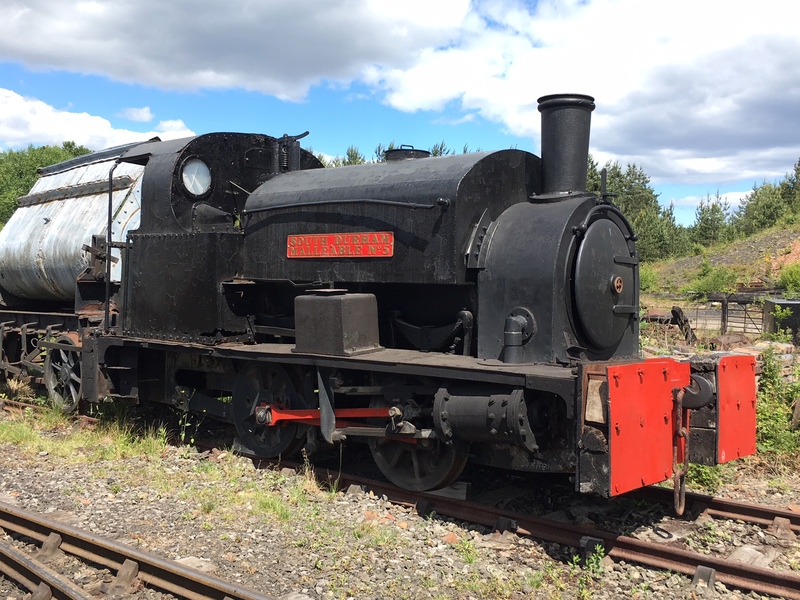 This railway was built by Lord Carlisle and served his mining interests in the country between Haltwhistle and Carlisle, joining the NER branchline to Alston at Lambley. 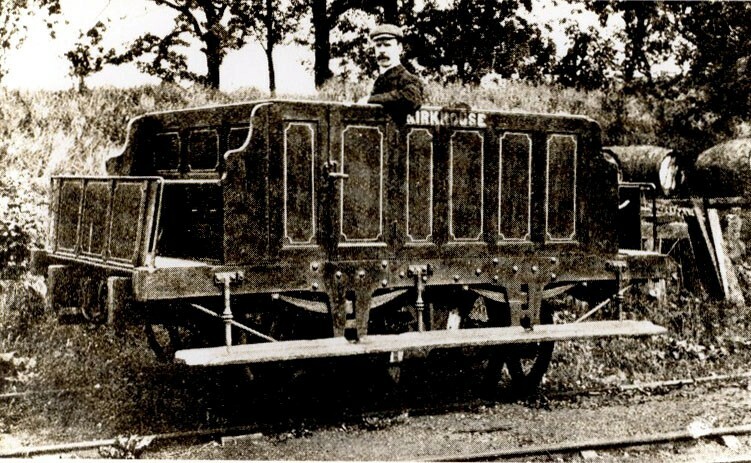 It ran both horse-drawn passenger services (with coaches like this one) and later, steam hauled services using second-hand (LNWR?) stock. 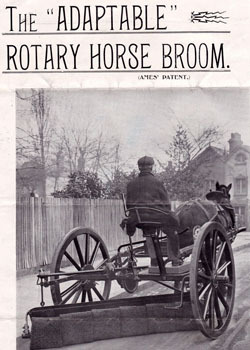 The horse drawn ‘Dandy’ service dated to the mid 1830s, so a vehicle that is both local and of the period is very relevant to the Waggonway here, as we admittedly step slightly outside of the Stockton & Darlington Railway styled theme. 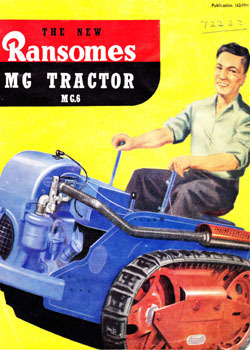 A third vehicle is also proposed as a ‘quick’ job – which will appear here in due course. 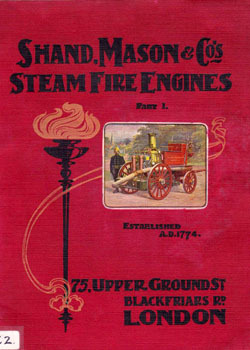 I have also been contemplating ways we might restore the NER fire engine waggon – as we have a steam fire engine to place upon it. Would anyone be interested in sponsoring the materials for such a project? 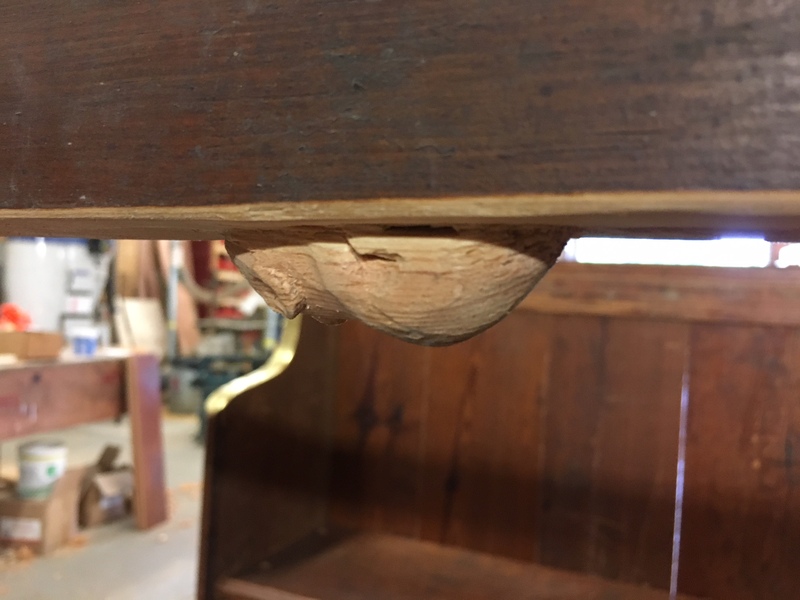 Below: More reclaimed pitch-pine pews – the whole body of the Brampton coach will be made of this material. 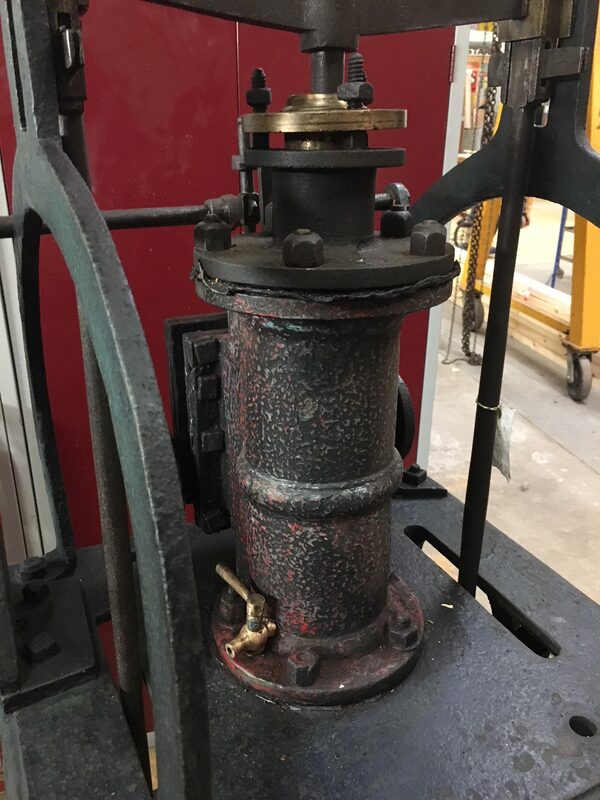 Below: Dave Young has taken the the small vertical engine that has been on display in the front of the Waggonway Great Shed for many years and dismantled, cleaned and reassembled it. 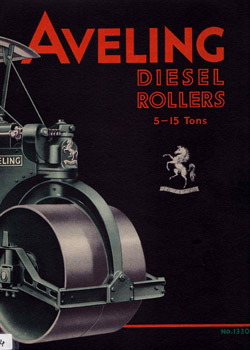 We did, at one point, wonder if it might be made operational, but this is impractical with such a venerable artefact. 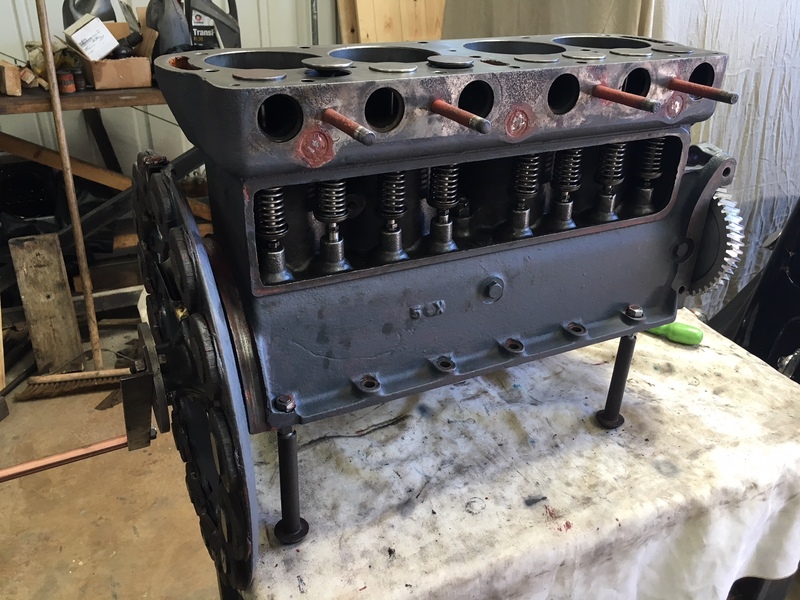 The engine will be placed back on display, but perhaps in a more suitable environment. Dave has written a paper on the work which I will put on the blog in due course. 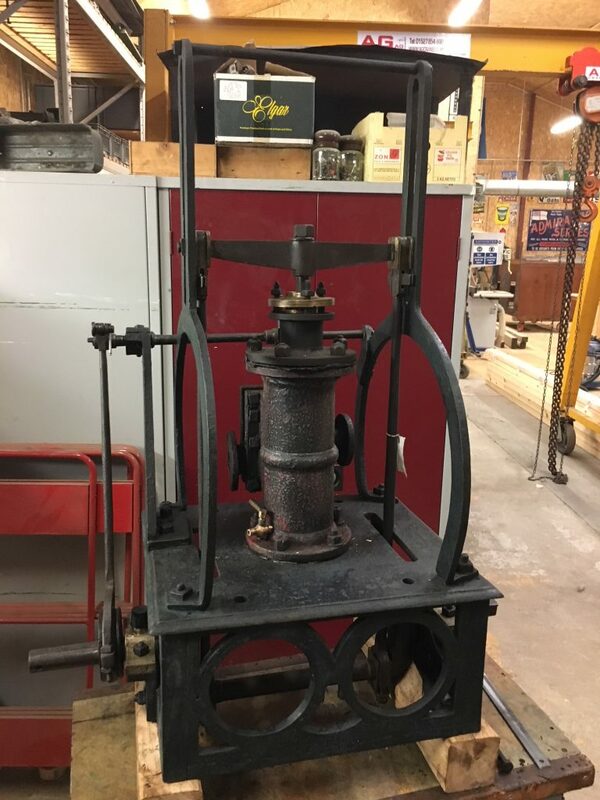 For now it is stored in the RHEC pending relocation into the museum. 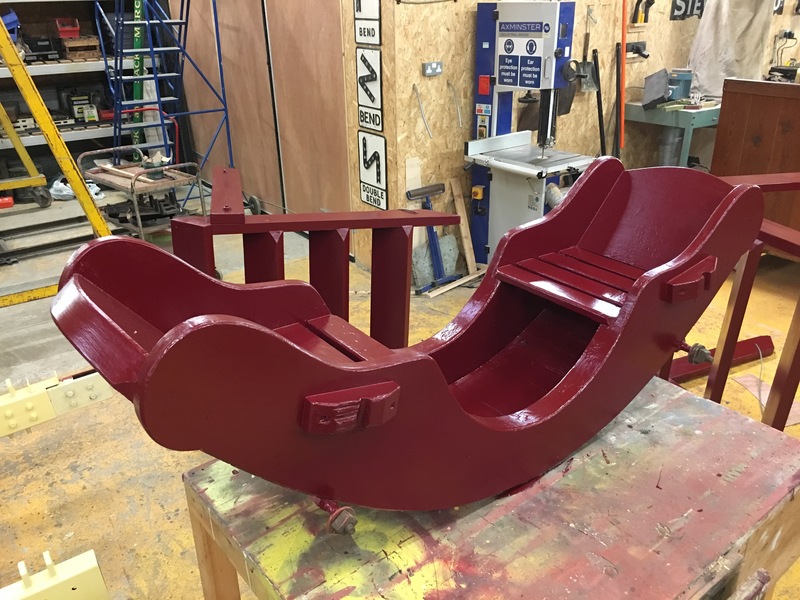 Below: The never-ending work on fairground items continues – the swing boats being very nearly complete now. The timber frame has been replaced in much stronger and more durable (but visually identical) steel box section. 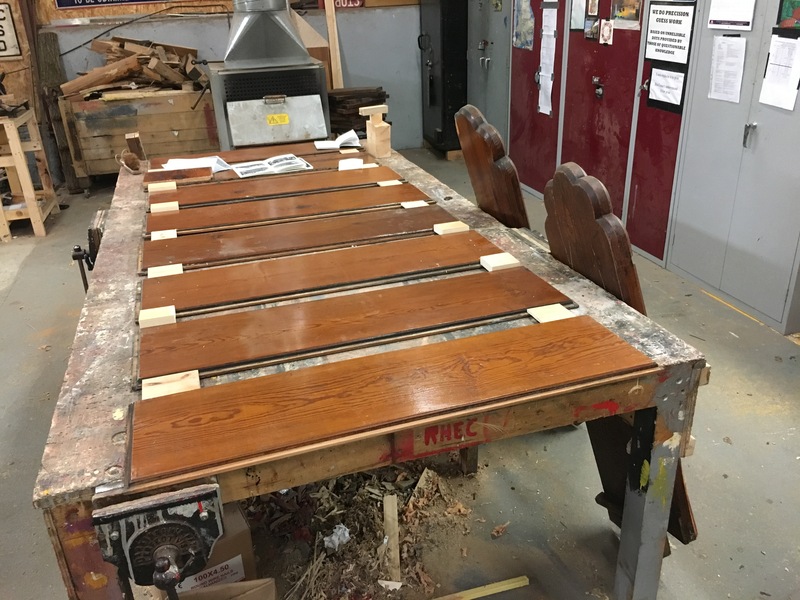 The top rail was renewed in this manner some years back and the need to keep the swings in operation for most of the year entails a different approach to their restoration and construction. The original boats have been restored and are currently being painted. Below: Blackpool 31 received some RHEC attention following receipt of its re-tyred wheelsets. 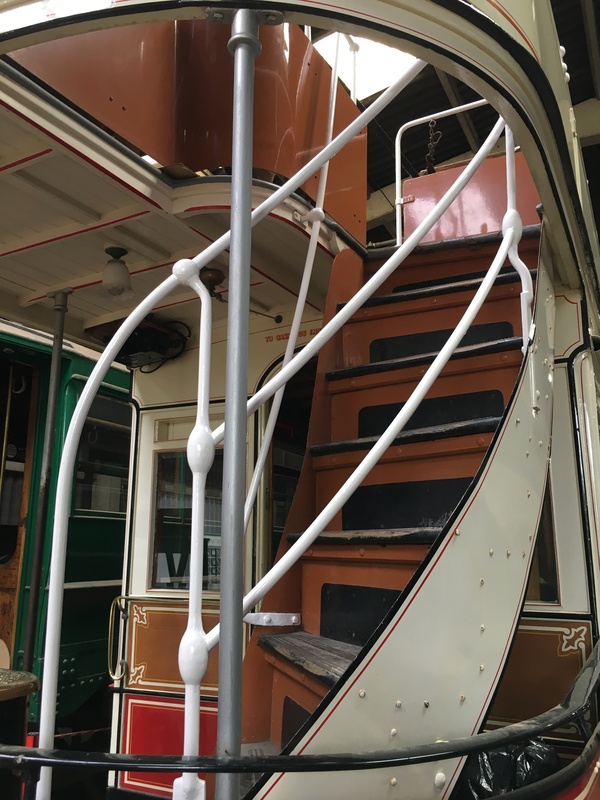 The overhauled motors, controllers and other items all contributed to this being a more thorough overhaul, so the paintwork has also received some attention, including everything below the solebars and also the handrails. 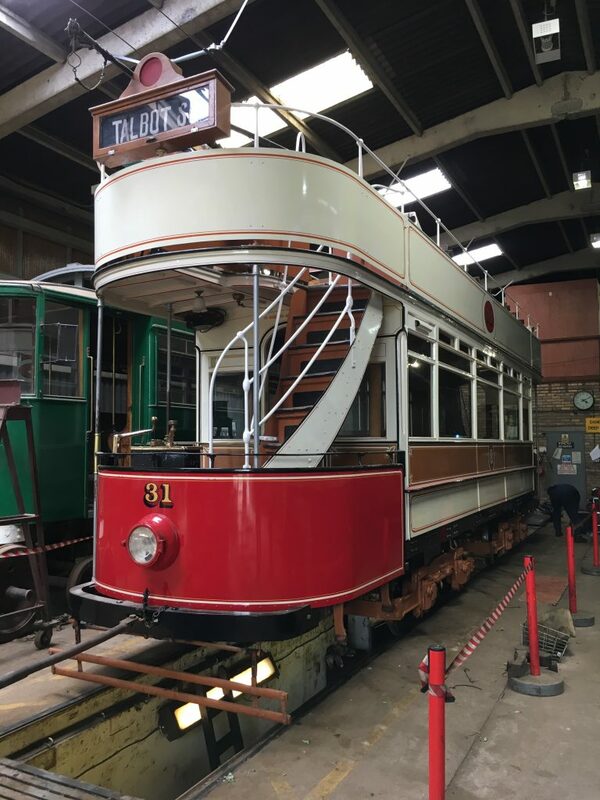 Below: The horse tram hasn’t featured much on the blog lately but the volunteers working on this restoration have been making good progress. 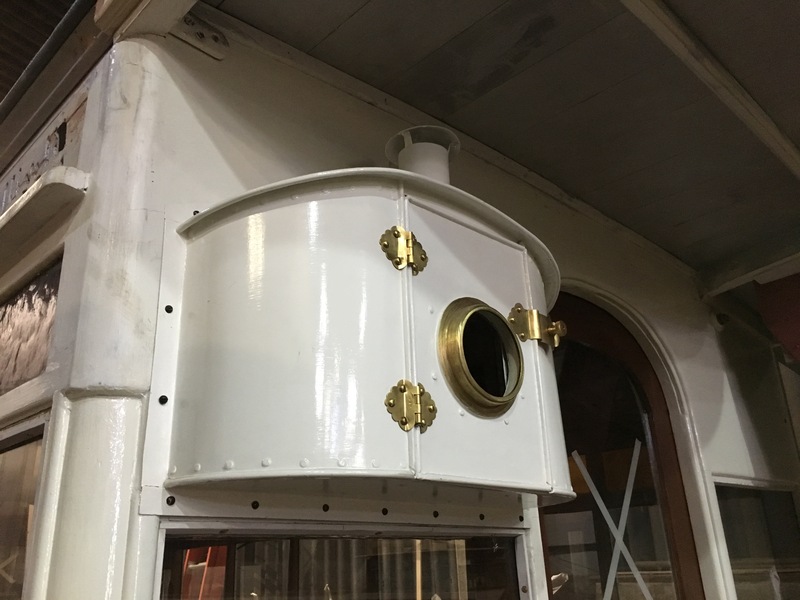 Here the replica lamps are seen after fitting and also the new dash panels are under construction. With the stairs well advanced, the lower deck will soon be all-but complete. 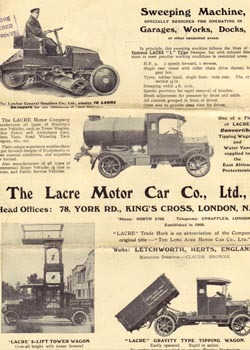 Below: The overhaul of the Model T Ton Truck has become rather more involved! 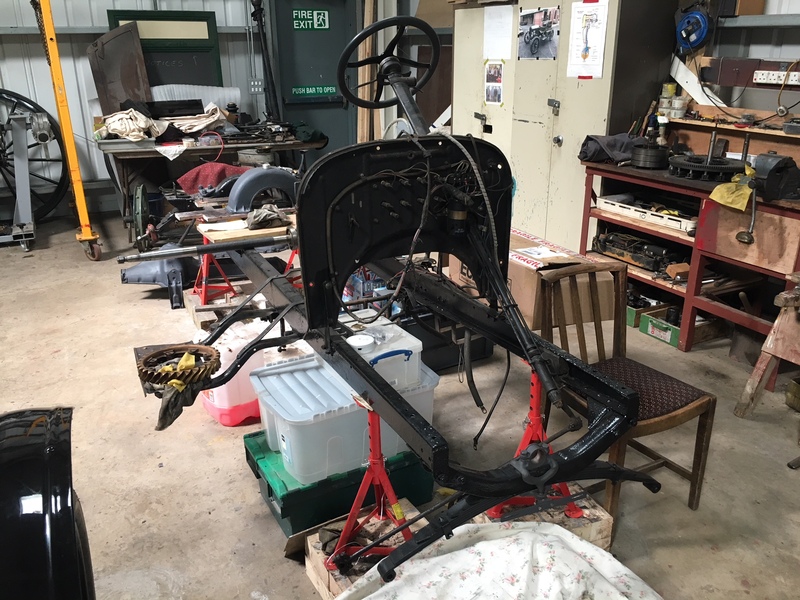 This is now a nut & bolt restoration, with the complete vehicle stripped. 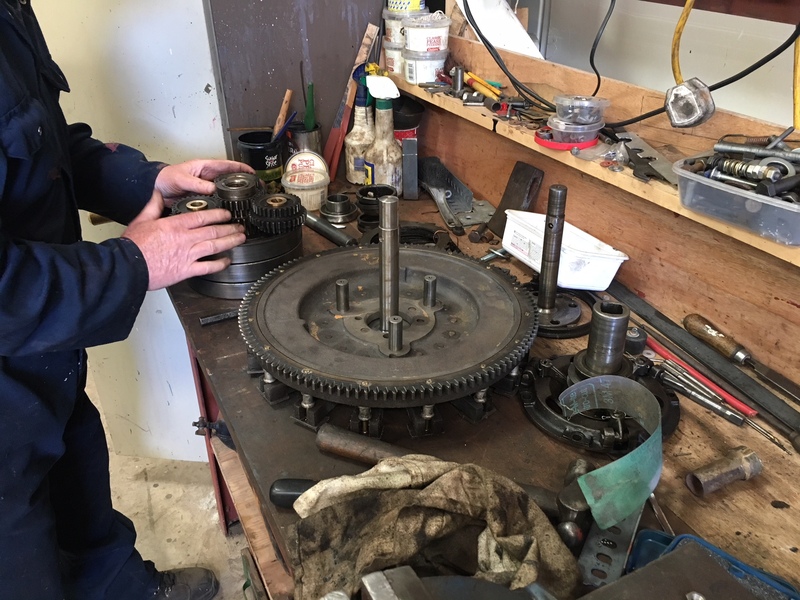 The engine is being rebuilt, gearbox overhauled and a replacement rear axle and differential sourced. Many other items have been attended to including refurbishing the springs. 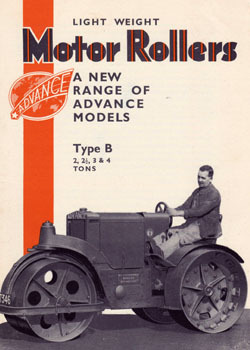 The original US cab may well now be adapted as the basis of an English C-type of cab, which is roofed but open sided. This makes getting in and out easier – accepting the increased exposure to the elements. There has been no progress on designing the refuse carrying back for this other than to initially produce some sketches of the design that I will pass on to others for CAD working. 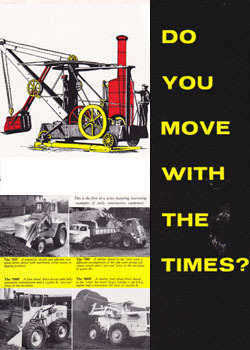 Below: Two vehicles are currently receiving the attention of the vehicle fitters and their apprentice. 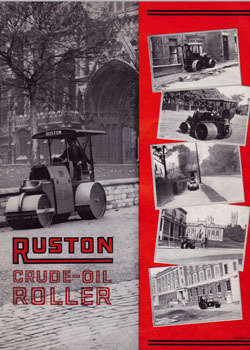 The Austin 10 had suffered badly in the hands of less experienced or careful operators and was taken out of use for what has become an involved rebuild. 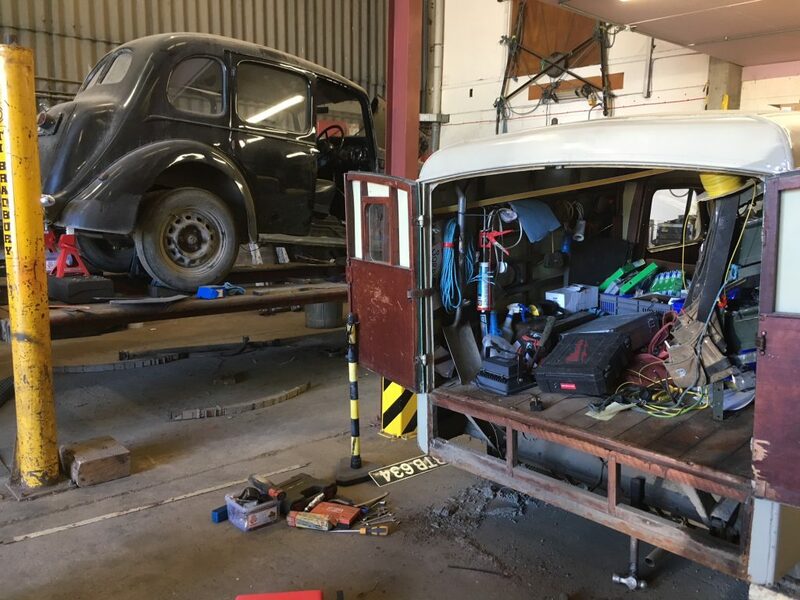 Delays in obtaining spares has meant this car occupying the ramp for longer than anticipated, so the Commer van has been brought in for some body repairs (rear valance for example) and overhaul of the brake system. 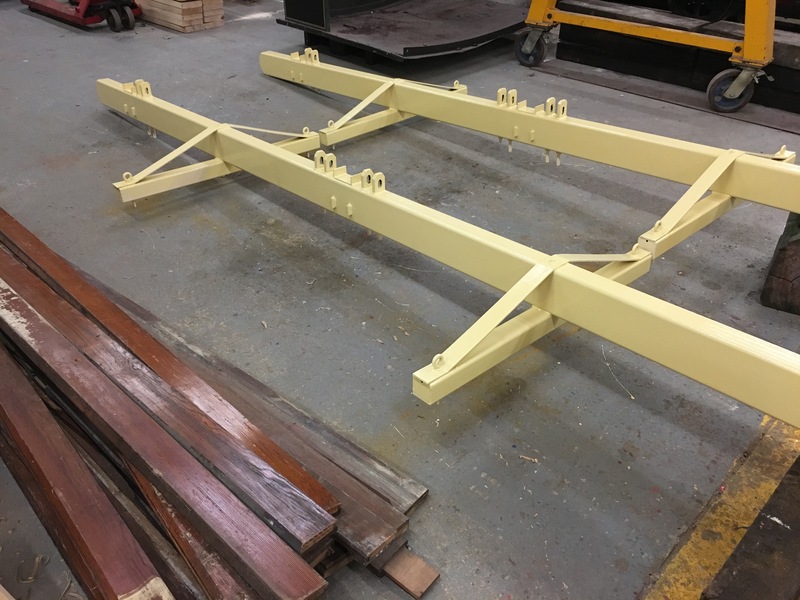 Chris is also rebuilding items such as track-rods, with adapted ends to enable off-the-shelf components to be used for wearing parts in the future. 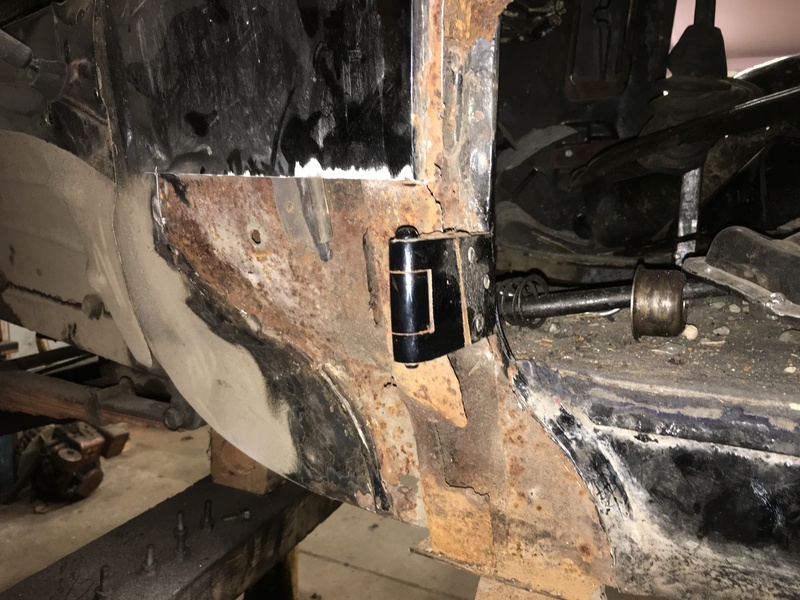 Below: The A pillars of the Austin have suffered considerable rot, so Chris has cut these out and fabricated new parts to weld back in. He is also attending to other areas of rot and damage to the bodywork caused by drivers and their passengers swinging doors open so hard as to damage the wings. Once completed the Austin will be limited to a smaller pool of drivers who can better appreciate its vintage. 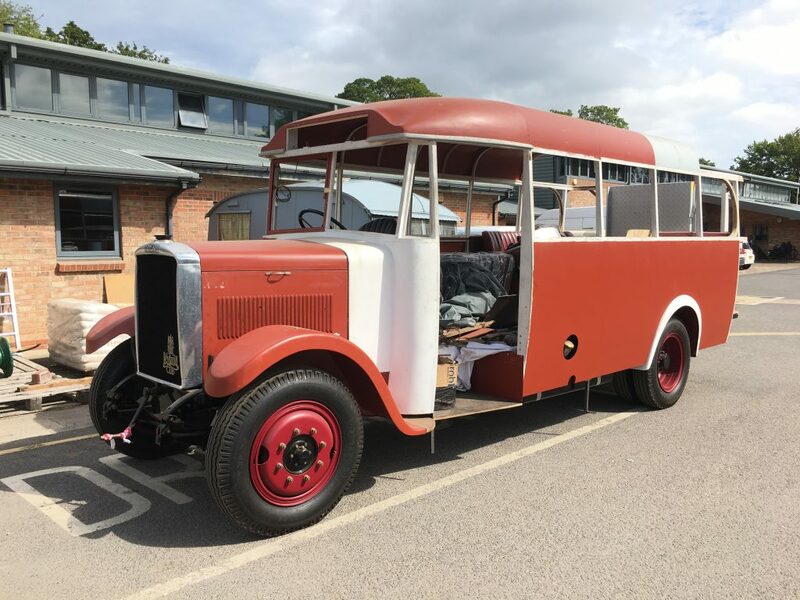 Once the Austin and Commer care complete, the Wolseley will be similarly treated – this being altogether harder as there are very few spare parts available. 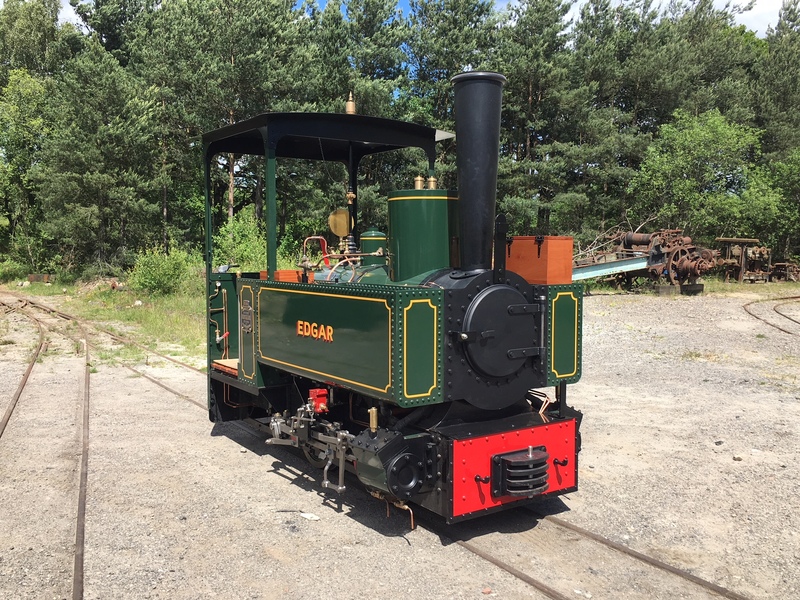 Below: We recently hosted the test-running of new-build Decauville steam locomotive ‘Edgar’. 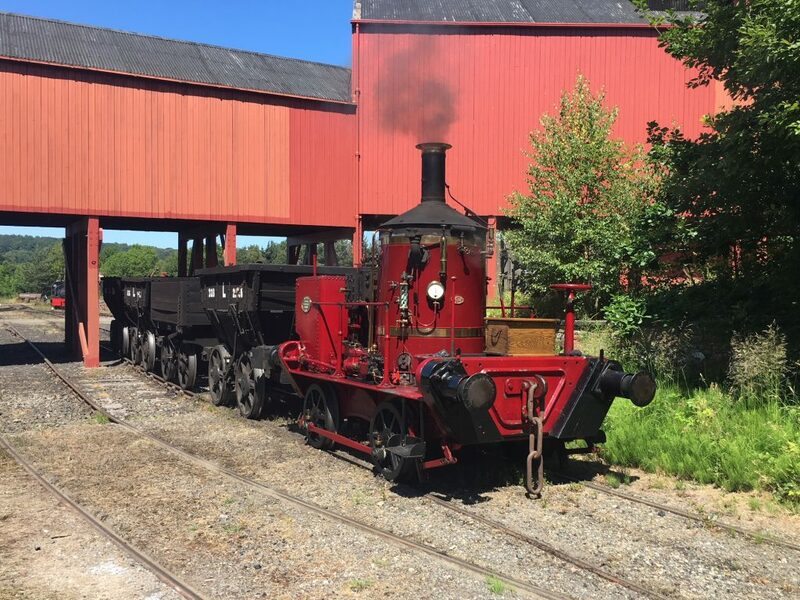 Built for a private individual by North Bay Engineering, the locomotive will shortly move to a location in the Midlands for its public debut. 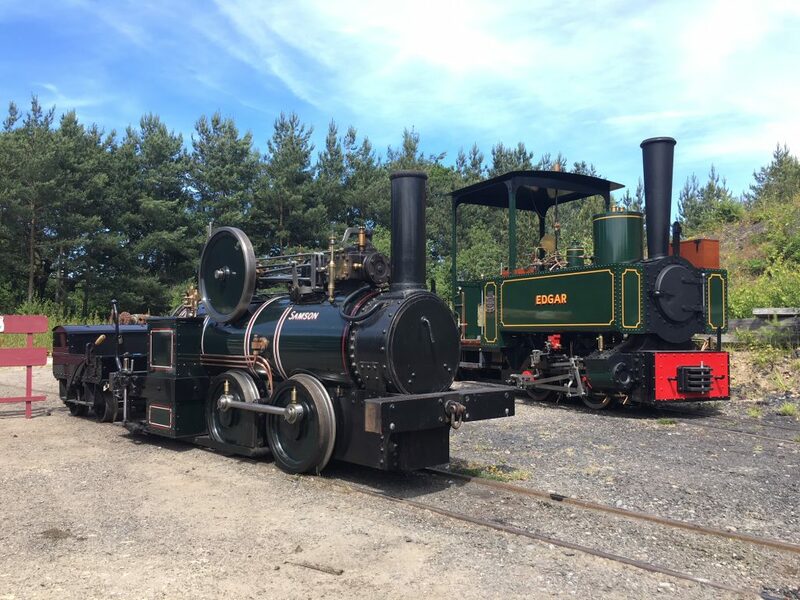 It carried out some test runs with us as well as being steamed last Sunday to run alongside our own new-build, Samson. 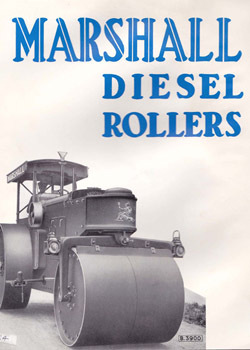 The design is a French one, with this type of locomotive being available in a number of weights, to suit differing operator requirements. Several survive around the World, including New Caledonia; as well as a well known operational example in South Africa. 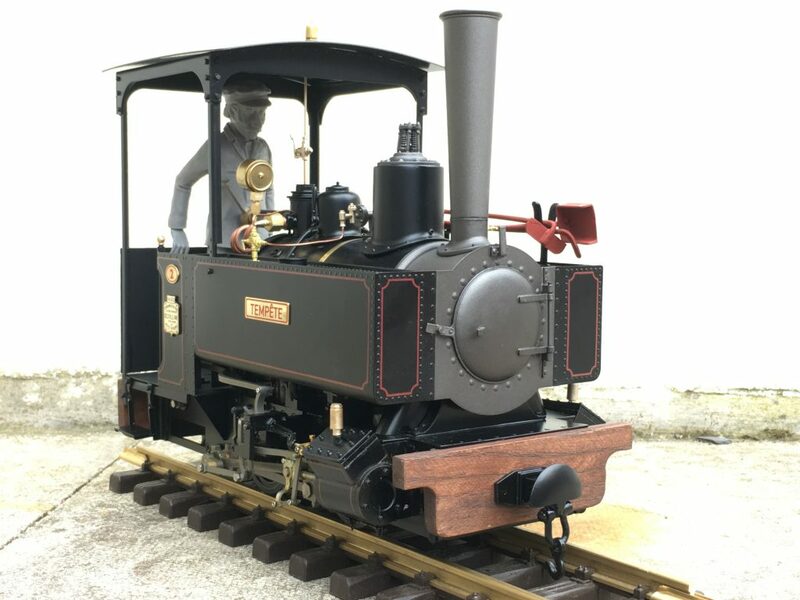 The design has also been used by model manufacturer for a live steam 7/8 inch to the foot model, produced last year by Accucraft. My own model is also shown (though I have fitted wooden buffer beams). 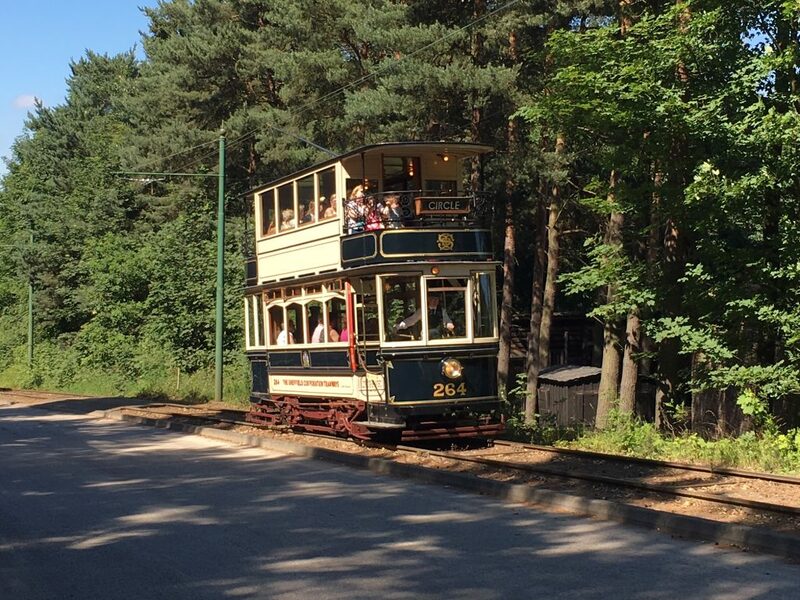 Below: No.5 has received some attention to smarten up its appearance in the Colliery. 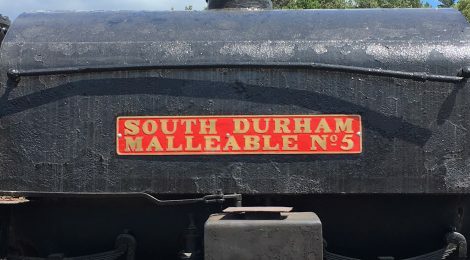 Robert Kitching, who has also repainted many of the chaldron waggons whilst engaging in this area, has carried out much of this work, and No.5 is now adorned with replica plates proclaiming it to be ‘South Durham Malleable No.5’ once again. Below: Whilst Coffee Pot and No.18 were in steam recently for the Old King Coal event, I took this photograph – partly to remind myself to see about removal of some of the greenery taking over this railway but also to illustrate the repainting work underway on the ex Ravensworth Colliery screens and the Beamish winder-house. 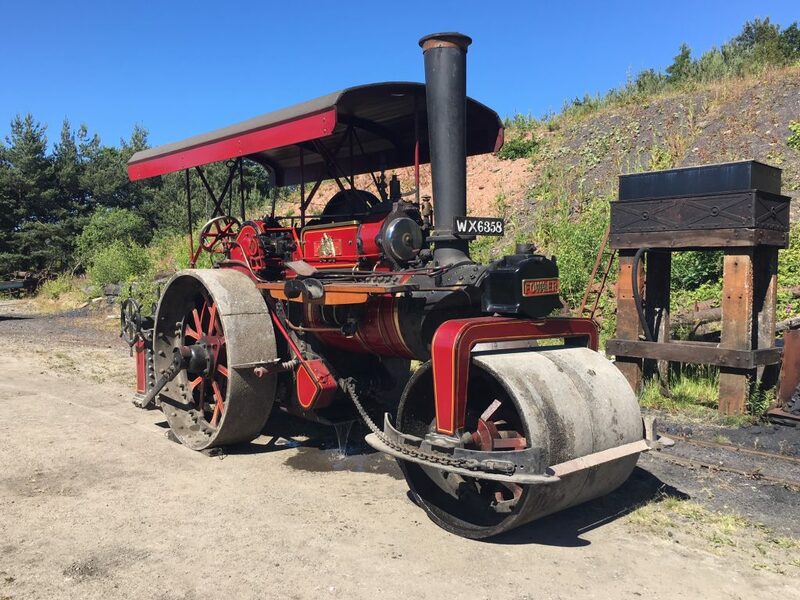 Below: Rambler was also in action during Old King Coal, which included parades led by Anthony Lister’s Clayton & Shuttlworth traction engine and Rambler. 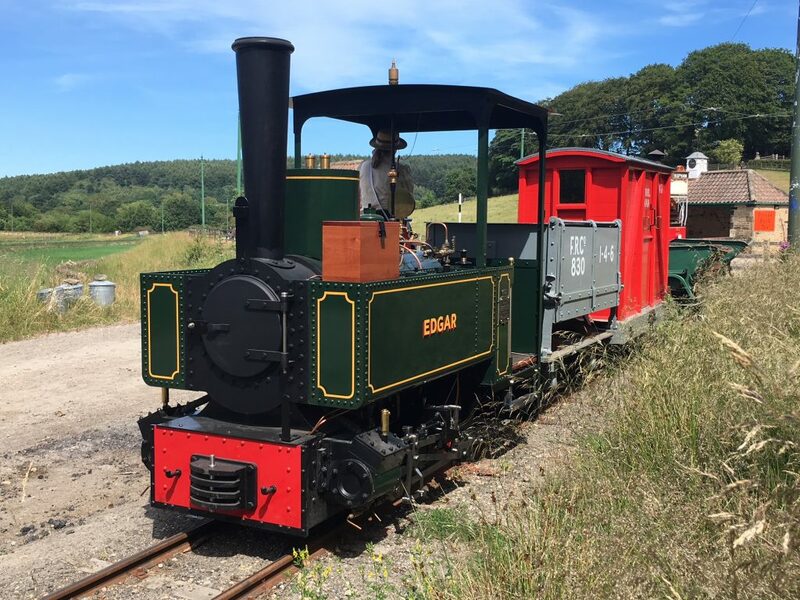 With Wissington operating at Rowley, Puffing Billy at the Waggonway and the Colliery standard and narrow gauge railways in action during the weekend, there was plenty of variety for visitors to enjoy. We also had the Model Ts and Matchless motorcycle out on Saturday. It always prompts us to consider that we can run very busy events with simply our own collections – though it did entail having more to drive than drivers to drive them at the weekend! 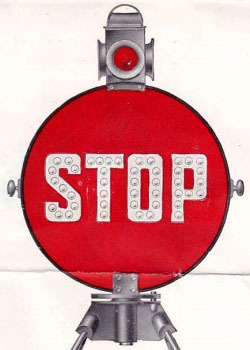 Great to see the blog back & the substantial progress on all fronts. Pleased to see that “Glyder” is progressing well towards a return to steam soon. Well done all.